In the moments before death, bees have displayed ‘zombielike’ behavior as the result of a parasite that liquefies its wing muscles. The decline of honeybees already threatens to wipe out major agricultural sectors around the world, but in recent years, scientists have discovered yet another threat to the critical pollinators: A deadly parasite. Honeybees across the country,which are essential to the production of more than 100 common cropsincluding tomatoes, avocados, cherries, and watermelon, as well as the production of beef and dairy, are falling victim to a parasitic infection that manages to use the bees as hosts. Infection by the parasitic fly, Apocephalus borealis, makes the bees behave in a “zombielike” manner in the moments before death. The larvae eventually liquefy the bee’s wing muscles and burst through its body. ZomBee Watch, an online database used by scientists to track the parasite’s reach across the country, has identified infected bees in New York, Vermont, California, Washington, and Oregon. The danger for bees is that, while an infestation alone may not destroy a colony, it could bring a vulnerable colony to collapse. One factor that may put a colony at preliminary risk is the use of neonicotinoids, a common pesticide used in agriculture that is chemically similar to nicotine, and for which bees have been observed to develop dependence similar to a human’s cigarette habit. Studies have shown that bees prefer the neonicotinoid-laced sugar solutions over plain sugar solutions, even though they were more likely to die. Help Researchers Find Out Where Zombie Bees Are!!! Help researchers find out where ZomBees are happening with the ZomBee Watch citizen science project. Brian Brown of the Natural History Museum of Los Angeles County, one of the discoverers of the ZomBee and the parasitic fly that causes them, is one of the researchers and this project was named one of Discover magazine's Top Ten citizen science projects of the year. THE HIVE BEETLE EXCLUDER. This idea using an inside flange and NEVERWET will keep the Small Hive Beetle out of your hive for good. Also a great tip on top vent protection from Hive Beetles at end of video. 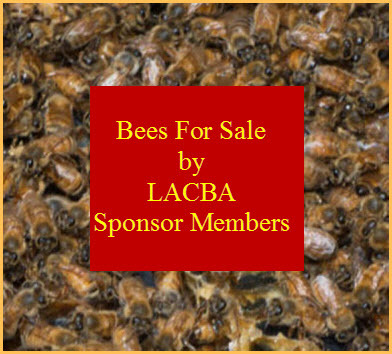 Thanks to Carlen Jupe, California State Beekeepers Association, for passing along this link: "While Jeff does ask for donations at the end of the video, he first gives a detailed explanation of how his SHB trap works, and that will cost you only the time to watch it, which is less than 10 minutes." Parasitized honey bees, or "zombees," have been found for the first time in the mid-Atlantic region, according to researchers at San Francisco State University. The discovery, made in Mountain Top, Pennsylvania, was announced this morning by ZomBee Watch (http://www.zombeewatch.org), a project based at the University. SF State Professor of Biology John Hafernik and his colleagues first reported parasitized honey bees in 2012 in an article in the journal PLOS ONE. After being infected with a fly parasite, the bees abandon their hives to congregate at night near lights, dying after a bout of disoriented, "zombie-like" behavior. Hafernik and other researchers are tracking the phenomenon with the help of more than 2,000 citizen scientists who report possible parasitized bee sightings to ZomBee Watch. Early zombee sightings were mostly limited to the U.S. West Coast and South Dakota. Last year, however, researchers confirmed the presence of the parasitized bees in New England, and the latest finding indicates the phenomenon is more widespread than previously thought. The Pennsylvania bees were discovered by Mountain Top beekeeper Sherry Grenzberg, who was sitting at her dining room table when she heard a "plinking" sound against her window from a bee trying to fly toward a chandelier. Having read an article about zombie bees just days earlier, she contacted ZomBee Watch and sent researchers photos and a bee sample. Brian Brown, a phorid fly expert at the Natural History Museum of Los Angeles County, confirmed that the bee was infected by the Apocephalis borealis fly, the parasite behind the zombee infestations. The fly infects a honey bee by depositing its eggs into the bee's abdomen. A few days after the bee dies, fly larvae burst out from between the bee's head and thorax. "The fly, A. borealis, is common across North America, but this is the first time it has been found to be parasitizing honey bees in the mid-Atlantic region," said Brown, who has studied this group of flies extensively. "This finding raises questions about whether we might be seeing the early stages of a host shift to honey bees by Apocephalis borealis in the mid-Atlantic region or whether this is something that has gone unnoticed for a number of years," Hafernik said. "Sherry's discovery also emphasizes the important contributions that citizen scientists can make to research on honey bee health, even in a relatively well-studied state like Pennsylvania." Beekeepers who find their hives are infected should stay calm and use the best beekeeping practices to keep their hives as healthy as possible, as it is most likely that healthy hives are better able to survive infections from the phorid fly or any other pathogen, according to Hafernik. Because researchers are still trying to determine the scope of the zombee infestation, he urged more individuals to join the zombee hunt. The team has developed a series of videos to help new hunters get started. 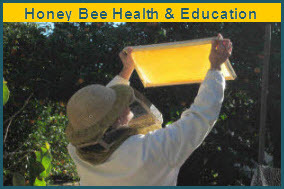 Grenzberg noted that, as a backyard beekeeper, she can keep a close eye on her hives. "But I have friends who keep their beehives at airports or out in the middle of a farm field, and who knows how many hives they can lose? They could come back in the spring and there are no bees there." The onset of winter makes it especially important for zombee hunters to make their observations sooner rather than later, particularly in the east, said Hafernik. "There is a window of opportunity right now, but that window is going to close quickly," he said.